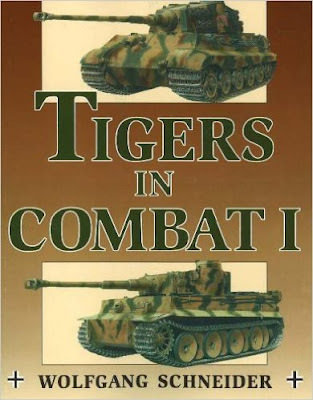 Scores of unique photos of Tiger tanks Intricate and richly colored drawings, with special focus on markings and insignia Accompanying text lists units' combat strengths, equipment, commanders, and engagements By the end of World War II, the dreaded Tiger tank had achieved mythical, almost mystical status. In this much-sought-after volume on the Wehrmacht's numbered Tiger units, Wolfgang Schneider tells in pictures the story of these renowned tanks. Hundreds of photos depict Tigers in all situations and terrain, and a section of painstakingly detailed drawings brings the tanks to life in the metallic grays, snow whites, desert tans, and forest greens and browns that colored them. Modelers and buffs alike will delight in this impressive collection. We are a part-time enterprise run by four blokes with a passion for wargaming. 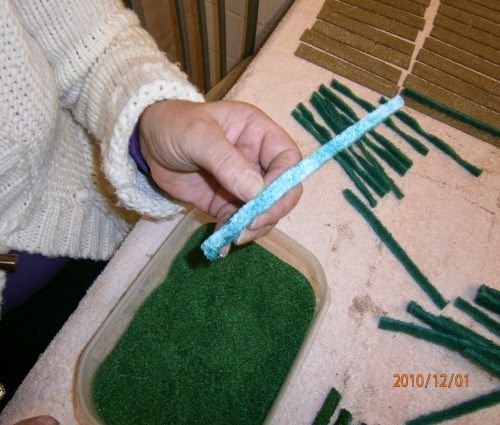 We are committed to make Blaze Away strong and long lasting. Our initial outlook is to work more as a service for wargamers and collectors. The name was inspired by one of our fellow gamers Dan, who would invite his opponents to blaze away on their firing turn. It also inspired the name of the free WWII rules available on this site. We live and work in Darwin, Northern Territory. Which, geographically, is a long way from pretty much everywhere. But its a great place and with the World Wide Web we are only a click away from anywhere! We plan to keep adding more and more to our ranges depending on popularity and what we'd like to use ourselves. 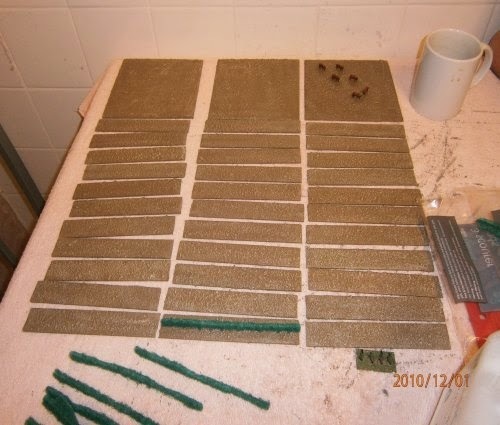 We also know that wargamers like to build units and armies efficiently and at discount. 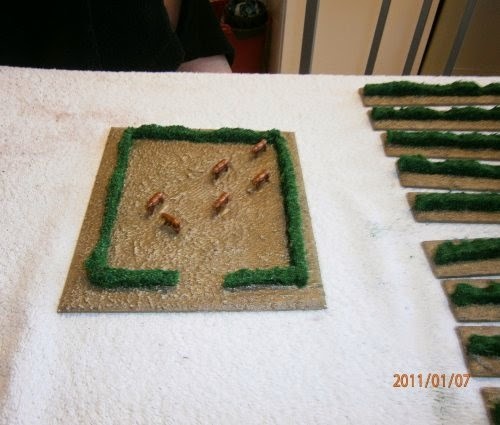 The Skirmish, Battalion and Army Builder options give the flexibility and price to please most of you. 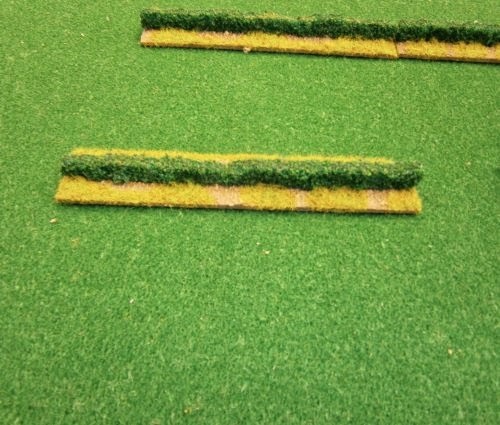 The scale is nominally 28mm, but we also offer the 15mm Cannon Fodder Miniatures lines that will also continue expanding. As we've picked up some older ranges, and commissioned a few new ones, the sculpting styles and sizes do vary. The images should give a good indication of the figure quality and we've added a small note saying what other manufacturers are compatible. Are names are Jon, James, Michael & the Bilge-Rat so you may come in contact with any one of us over time. Our 10mm American Civil War range aims to provide the growing 10mm gaming community with plenty of options and variety. We offer quality sculpted figures in small scale to allow forces to be built up cheaply and painted quickly. 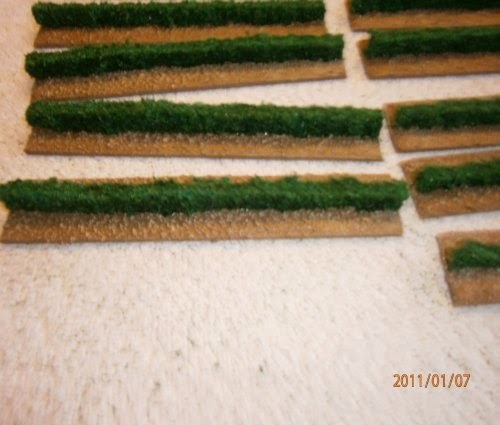 They also offer a rewarding challenge for those that like painting the detail. These are designed specifically to fit in with the current Pendraken range, who we feel set the benchmark. Making buildings is an easy guide to follow. 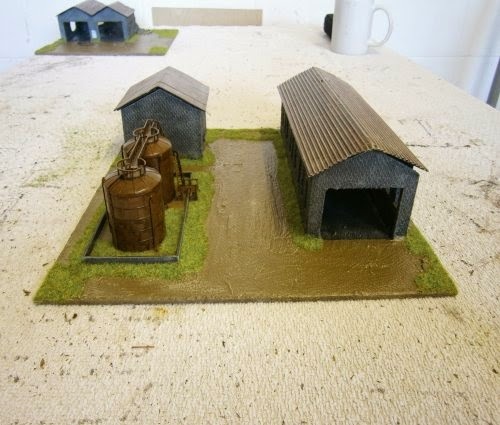 In this section of the site you will find all the buildings I have scratch built. The first building I constructed was the American Civil War (ACW) blockhouse which was because of my very good friend Malcolm who is also a member of the Grimsby Wargames Society, had made one for his 15mm ACW and looked so good I thought I would attempt to do my own for my 10mm ACW. 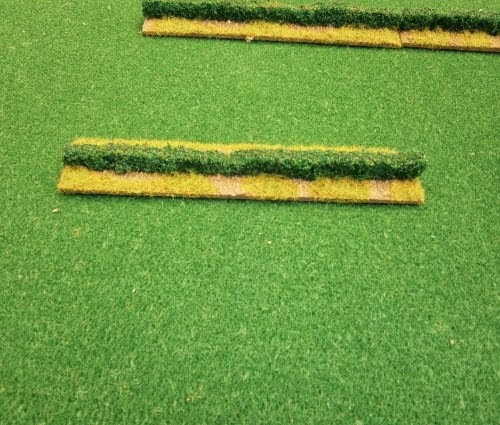 Incidentally Malcolm and Andy make all of the scenery for the Grimsby Wargames Society I can only say I wish I had half their skills anyway don't take my word for it check out the website galleries and you'll see for yourself the outstanding work they managed to achieve. The next buildings I constructed were the Stalingrad factory ruins which I needed for my World War II (WWII) project Russian front on the whole I am rather pleased with how they turned out I should imagine overtime my scratch building skills will improve anyway hope you enjoy and please leave comments. 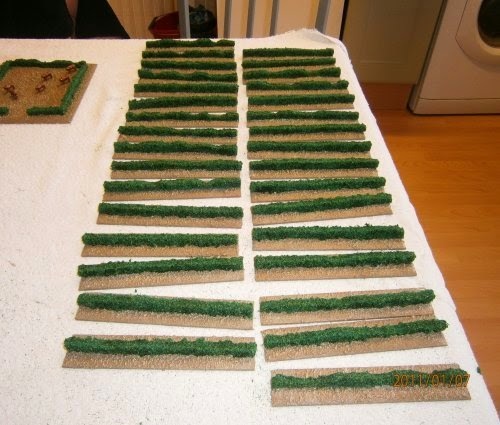 This tutorial will walk you through the process of making hedges for your 10mm wargaming table out of common scouring pads which can be bought from your local supermarket. 2. 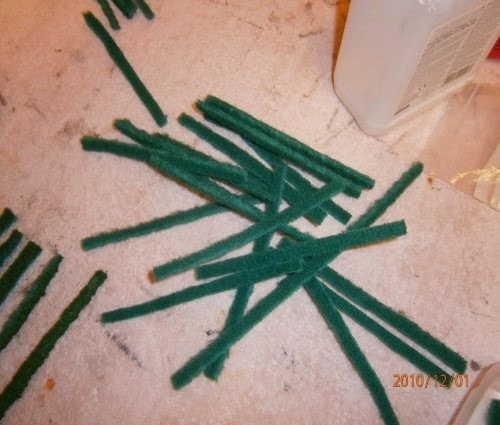 Cut the scouring pads to the desired height and length. 3. The next step is to texture your base. 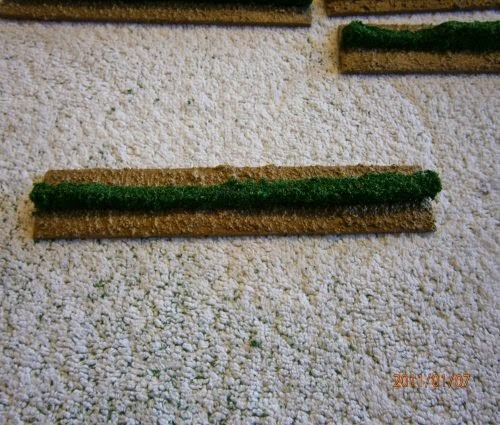 I have done tutorial on basing. 4. 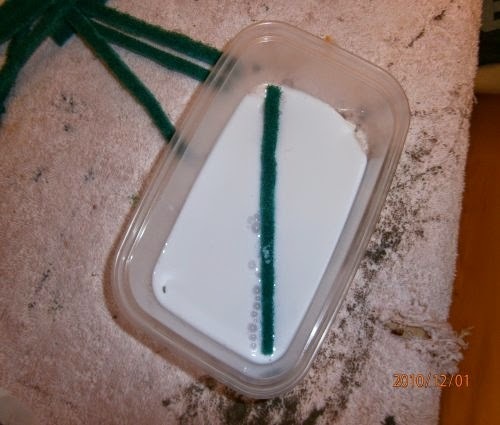 The next step is to immerse the cut scouring pads into a tub of PVA and then immerse the saturated scouring pads into a tub of mixed Javis Countryside Scenic Products Scatter No 21 pasture green and Javis Countryside Scenic Products Scatter No 15 mid green allowed to dry. 5. You can miss the above stage if you prefer to paint instead use a dark green followed by lighter shades of green and highlight with yellow. 6. 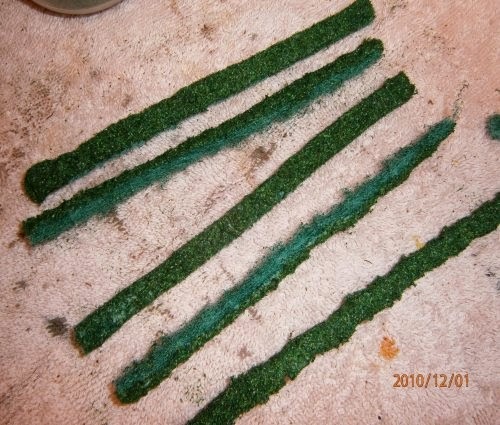 The next and final stage is the glue the scouring pads on to your precut and textured bases using a glue gun.